Front row left to right: Theresa McNamara, Doris Jirotuek, Retha Varner. 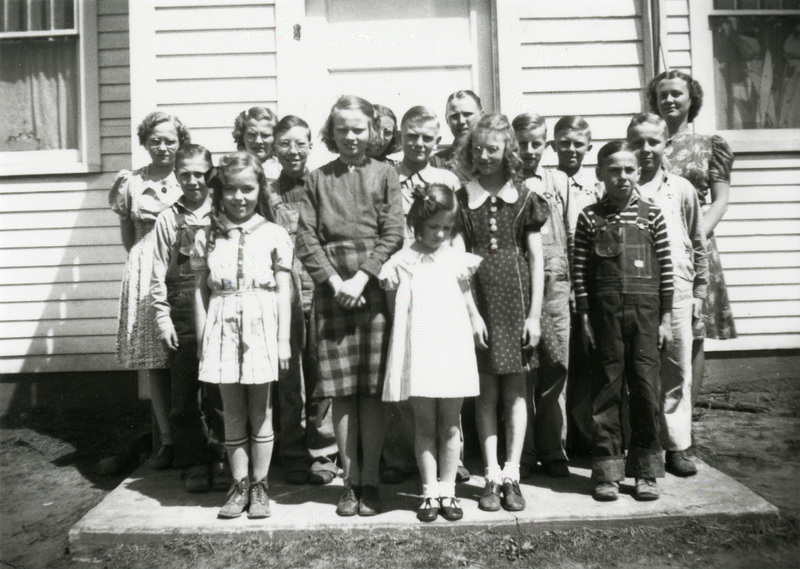 Back row left to right: Loretta Lingel, Vernon Erenberger, [unknown] Jiroutek, [unknown] McNamara, [unknown] McNamara, Donald Dvorsky, Donald Erenberger, Ruth Varner, Hubert Yeggy, Harold Dvorsky, Kenny Erenberger, Bud Lengel, and teacher Dorothy Worrell. “Big Grove #4 School, 1939,” Iowa City Public Library, accessed April 19, 2019, http://history.icpl.org/items/show/1580.